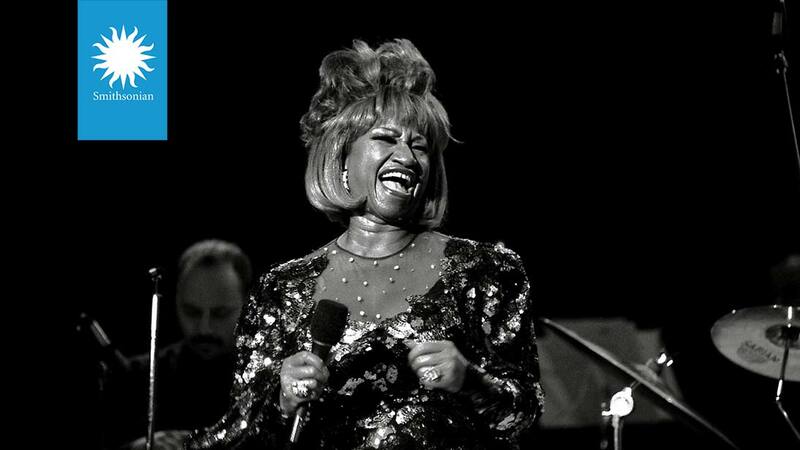 London, 5 February 2019 – Hard Rock Hotel Tenerife has revealed that its first ‘Children of the 80’s’ party of the year will be a tribute to Celia Cruz and the famous open-air show in Santa Cruz de Tenerife during the island’s renowned carnival in 1987. 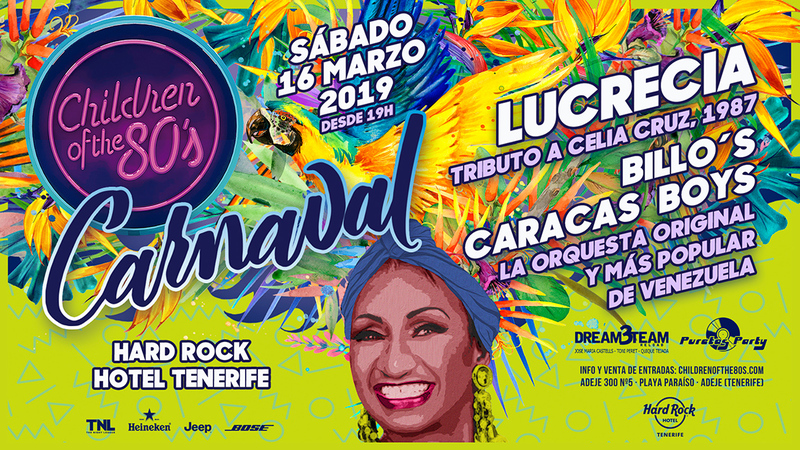 Lucrecia (Celia Cruz’s tribute act) together with the authentic Billo’s Caracas Boys from Venezuela will headline the celebrations on 16th March, when the 2019 series of ‘Children of the 80’s’ kicks off at the open-air stage of Hard Rock Hotel Tenerife. Like Celia Cruz, Lucrecia is a Cuban singer who is currently playing Celia Cruz in a touring musical about her life. She will lead a special tribute to the Latino legend, one of the most popular Latin artists of the 20th century, who died in 2003 at the age of 77. Returning to Tenerife for the first time in ten years, Billo’s Caracas Boys will support Lucrecia and add to the carnival atmosphere with their Afro-Cuban-influenced music. Hailing from Venezuela in 1940, the group was formed and led by Billo Frometa until his death in 1990. 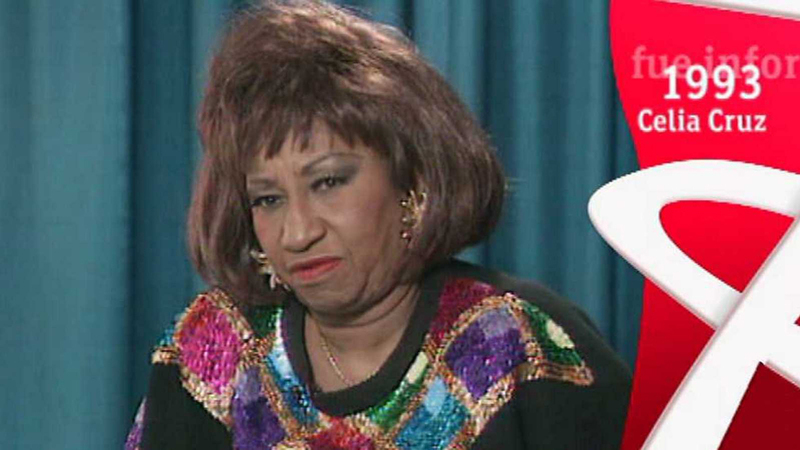 Celia Cruz and Billo’s Caracas Boys both performed at the 1987 Santa Cruz de Tenerife Carnival, which entered into the Guinness World Records for the largest open-air gathering of people for music show. The event took place during carnival at the Plaza de España in Santa Cruz, with an audience of 250,000 dancing in the street to Caribbean, Colombian, Cuban and Caracas songs. The event is still considered one of the Canary Islands’ most symbolic musical moments. The special guests will be supported by DJ trio Dream Team and local Canary Island stars Puretas Party, who warm up the crowds at every ‘Children of the 80’s’ party with their dance floor classics. The party atmosphere will be boosted by acrobats, break dancers, spectacular visuals, eighties’ photocalls and plenty of other surprises, entertaining the crowds all night long. What’s more, the first 100 people to arrive at the party will receive a special present. Ten ‘Children of the 80’s’ dates are planned for 2019 at Hard Rock Hotel Tenerife, with a party each month taking place between 7pm and midnight. The headline artists for future events will be announced in due course. Deluxe rooms at Hard Rock Hotel Tenerife are priced from €131 on a B&B basis, based on two people sharing (www.hrhtenerife.com).